Many of the dangers surrounding the taking of body building supplements are often down to the confusion between certain supplements which, if taken correctly and approved of by medical experts, have been deemed safe. The confusion comes when, in an effort to bulk up as quickly as possible, some bodybuilders resort to taking anabolic steroids which are often abused and, although they will result in you getting bigger muscles quicker than through natural means, any positives are far outweighed by the negative effects these can cause. Not only can they severely damage your health, but they are illegal. Therefore, it’s not only your health which can suffer but your reputation too. There are many severe health implications for those who choose to use (and abuse) anabolic steroids. For men, they can reduce your sperm count and can actually cause your testicles to shrink. They can provoke hair loss and can result in the development of breasts. Both a man and a woman’s voice can deepen with the use of steroids. For women, they can also encourage the growth of facial hair and the loss of hair from your head. Even more worryingly, they can damage the liver, bring about the onset of cancerous tumours and increase the size of your heart and the hardening of its arteries which can ultimately cause heart disease and result in heart failure. Other side effects of using steroids and certain other supplements can cause acne and mood swings which can see you becoming aggressive and, perhaps, even violent. Before you take any other supplement to bulk out your body or for endurance purposes, you should do as much research as you can and it’s a good idea to speak to your GP to ask them their advice about any supplement you might be intending to use. 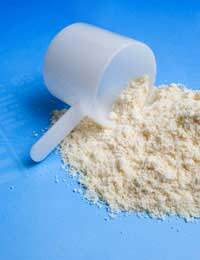 Creatine supplements are probably the most widely known and used in bodybuilding. They increase energy and power enabling you to lift heavier weights which builds the size of your muscles faster. There are also plenty of different kinds of protein supplements which are incorporated into things like juices and milk shakes. However, even perfectly legal supplements and some of those recommended by bodybuilding experts are not without their risks. Some of them may contain ingredients which you may be allergic to, whilst combining different kinds of supplements at the same time can be very dangerous. One of the things you need to be very careful of is the number of bogus supplements which are for sale. You’ll often see newspaper advertisements making bold claims about a bodybuilding supplement being not only THE best in what you’re hoping to achieve and that they are perfectly safe to take but the reality often doesn’t back up these claims. Many contain ingredients which, though they may be harmless, have no real effect at all whilst others can be highly dangerous. If you ever see a bodybuilding supplement retailing for far less than it would cost on the high street, remember the old adage that quality doesn’t come cheap. The main thing is that you need to be wary, do your homework and speak to professional bodybuilders who have an ethical approach to their activity and armed with that knowledge and the different opinions you have gained, go and seek proper medical advice from your GP who will be happy to confirm or dispel any of the supposed ‘facts’ you have been told as no artificial supplement is worth putting your health at risk.